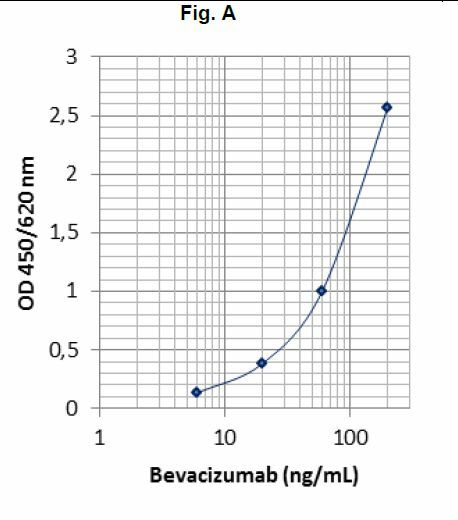 Enzyme immunoassay for the specific and quantitative determination of free Bevacizumab (Avastin) in serum and plasma. 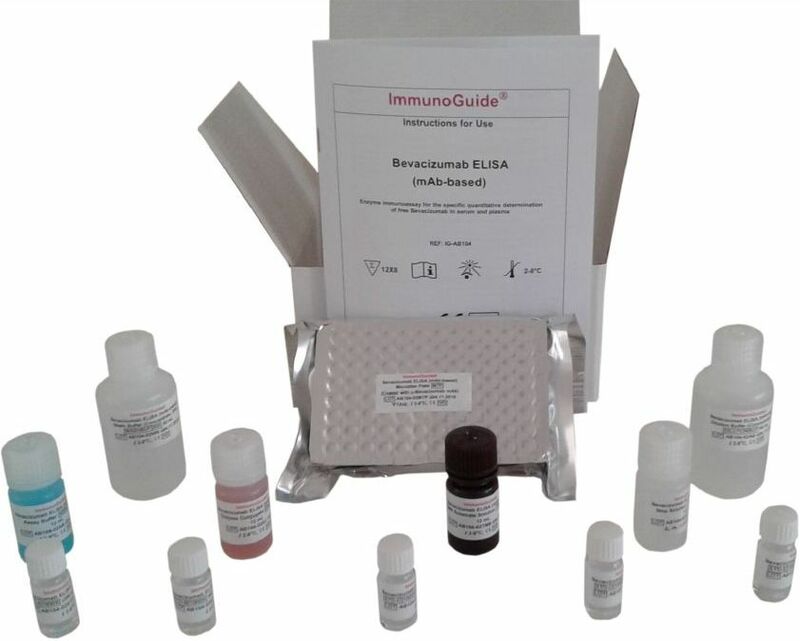 The solid phase (MTP) is coated by a highly specific monoclonal antibody directed against Bevacizumab. 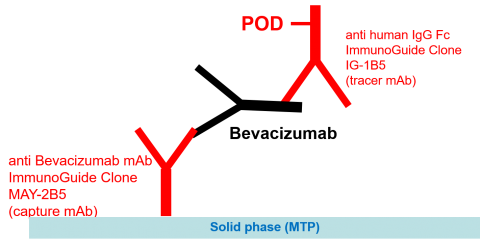 Therefore any cross reactivity to the other therapeutical monoclonal antibodies, even with its 5 pointmutation Fab counterpart (Ranibizumab) is excluded. Avastin® is a trademark of Genentech Inc./Roche.